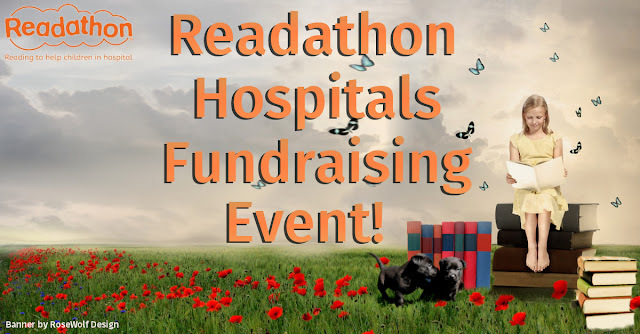 I’ve got some exciting news to announce.. Me along with six other people have organised an event to raise money for the Readathon Hospitals charity! To be more specific, the seven of us will be participating in a 24 hour readathon at the beginning of October, how cool is that? When Jenny first asked if anyone wanted to take part I was quick to jump at the chance and volunteer myself as it sounded too great to miss. Let me tell you all about it! Who’s the charity and what do they do? 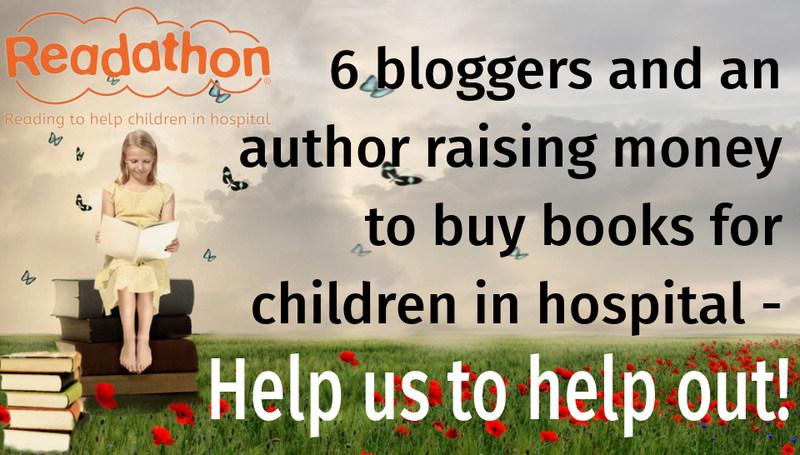 Readathon Hospitals is a charity that donates books to seriously ill children in hospitals all across the UK. Every year thousands of children are hospitalised so their aim is to make all the their lives a little better by ensuring they don’t fall behind educationally or lose out on the fun of reading! Once the hospital has given the thumbs up to the programme, twice every school term they deliver a mobile bookcase with a large supply of books and provide them a full day’s visit from a trained storyteller. I don’t know about you but that sounds pretty amazing to me! What will you be doing to raise money? So there’s me, Jenny, Laura N, Laura, Alice, Claire and Ann and anyone else who wants to join us of course! To start off we’ll be doing the 24 hour readathon on Sunday 4th October which is when we read as much as we can of the book that’s chosen (I’ll be reviewing this book once I’ve read it so keep an eye out for that) then the following Wednesday we will be hosting a Facebook event where they’ll be some giveaways as a little thank you for everyone supporting us. Why do you think it’s a good cause? I believe that every child deserves the chance to fall in love with reading like my friends and I have. I love the way how when you read a book it can make you feel like you’re in a complete different place and you just get sucked into the story and the characters; I can imagine that feeling being great for the children as a little pick me up! Also I don’t feel like it’s fair that something is completely out of their control results in them missing out on things so by helping this charity with our fundraising event we know that every child involved will still the opportunity learn reading and have fun like other children their age! This is just brilliant! I'm actually doing my dissertation on the power and importance of imagination for children, so this is so interesting to read.